Do you need professional help over the phone or FaceTime? Do you know how to clean a pool? 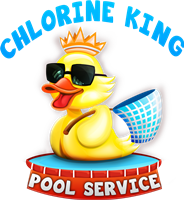 If not, Chlorine King's consultation service could be very beneficial for your. Not only will you learn how to clean a pool but we can teach you some troubleshooting that would take a long time to learn on your own. There really is a lot of situations you'll encounter if you choose to take care of your pool on your own. What chemicals do I add? My water is low so am I damaging my pump? The questions go on and on. However, with the consultation service you will have a qualified professional speaking to you to solve your problems. All you have to do is check out with PayPal below (all major cards accepted) and then fill out the consultation form below. The rate is $50 for 60 minutes of phone calls, emails, texts or FaceTime.